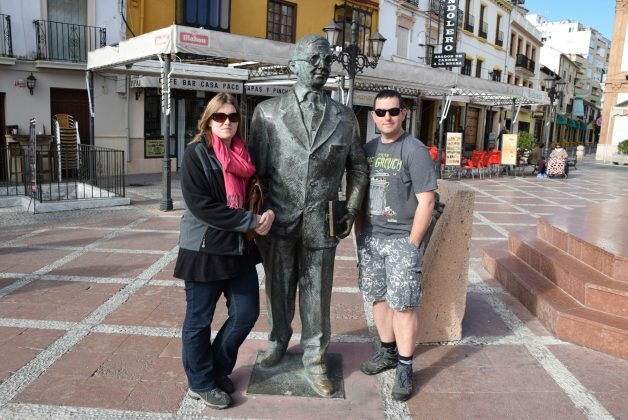 Well, looking at things to do in the province of Malaga sitting pretty at number uno y dos (you like my new found Spanish skills there). 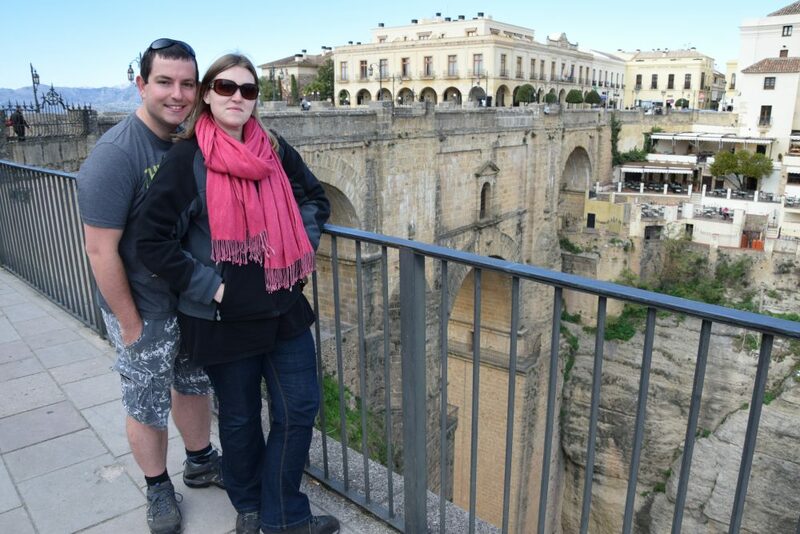 Was the Puente Nuevo Bridge and El Tajo both set up in the mountains of Ronda. I had to read up on the history of this bridge because I had heard a few stories as to its heritage. The main one was that in ye olden days people were thrown off the bridge for not being Christian to there most certain death. After reading on the Ronda Times HERE, this was written about by a Mr Ernest Hemmingway. 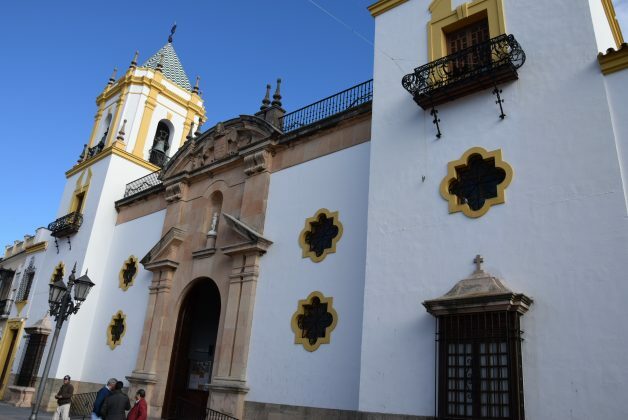 Although this has been written about and seems to be a well discussed in the Andalusian parts of Spain. There is very little evidence that this ever took place. 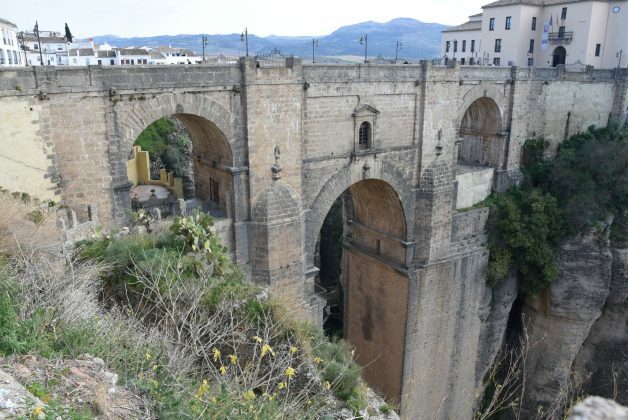 This was also backed up by reading an article on the Andalucía website that claims that the bridge support structures housed a torture prison that was used by both towns with inmates captured from the other village (I know right). You can read more about that if you wish HERE. The bridge itself was build in 1793 after 40 years of construction. Now we have had the history lesson completed; let’s talk about the journey up. I am going to assume here that you would be travelling from the coast of the Costa del Sol (anywhere from Malaga through to Estapona). I would avoid the AP-7 (the toll road) and use the A7 (non-toll), and head towards San Pedro. If you have a sat nav, you will then be directed north, and onto the most incredible driving road, I have driven on so far. You will start to drive up the mountains, and before you know it, you are winding your way around roads that seemingly have just been dug out the side of the Ronda mountains. The road goes on for about 40km and will take you a good hour to drive up (unless you’re stuck behind a tanker or coach). I would be careful as once you start to plateau off there are two-speed cameras that are just grey boxes on the sides of the road. Well, I only saw one on the way up but then noticed another on the way down. The speed limits vary so much on that road that one minute you’re told you can drive 80kph and then not 50m further down that it’s now 60! 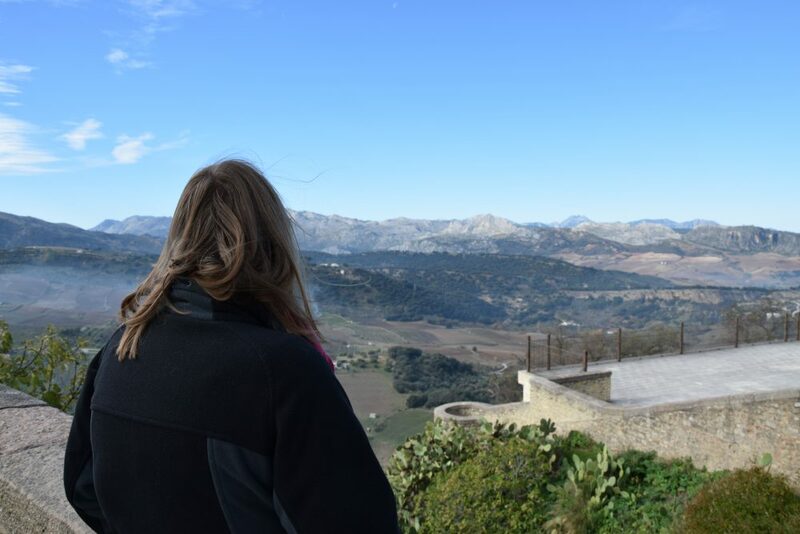 We came in from the South, so you need to come off just after the hospital (signposted Ronda Sur) and follow the signs. We went during the week in December so was quiet and getting a parking space in the underground car park in the main square was easy. However, at weekends and I guess any time in the summer months, and you might as well not bother! Be prepared to walk 5 miles up and down hills. Everything is within a short walk from there; you have the bullring, observation lookout (which is stunning) and the Puente Nuevo bridge. Be careful when taking pictures of the horse-drawn carriages outside the bullring. 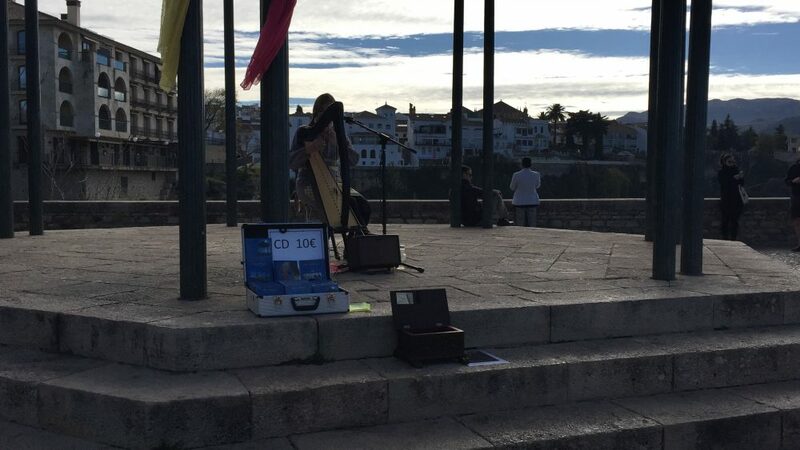 I saw someone is hounded for 5€ just for a picture they had taken. No matter what I can say on here, nothing beats being there and seeing precisely what Ronda and the bridge have to offer. You will look at the buildings and wonder how on earth they are still standing when they are built flush against the cliff edge. Try and go on the offseason. If you cant then make sure you go on a weekday, and that’s its not a fiesta (Spanish holiday) as they have endless numbers of these throughout the year. Take a trip to a place called Las Campinas Cafe (the trip advisor reviews do not do the place justice) and try the tapas. I know from when we went we had all the food you can see below with drinks for 27€ and was more than enough to feed the 3 of us. If you are partial to a churro, then on the main shopping street (that seems to head into the sky as that’s all you can see at the end from the bottom), you will come to a place that’s so small and unassuming that you would just walk straight past, its called Cafeteria Churreria Alba. DON’T!!!!! You will miss out on the most incredible churros and dipping chocolate we have tried here in Spain. 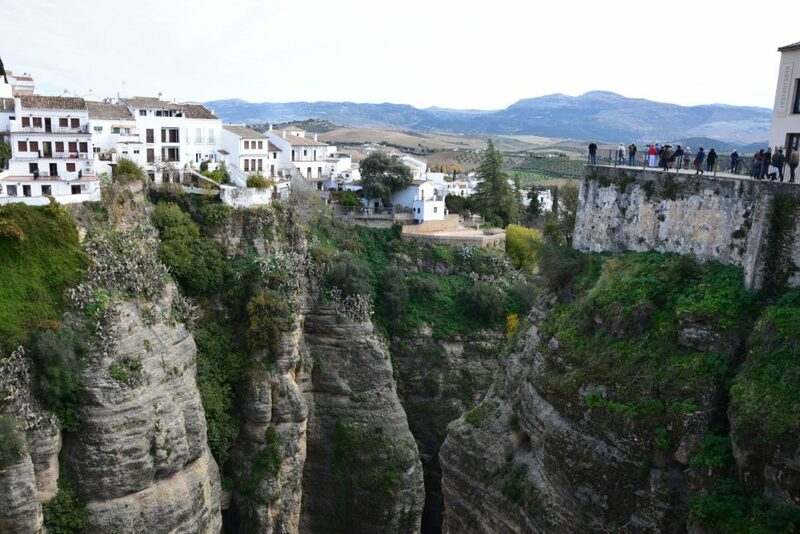 To get a picture looking up you need to head out the south of Ronda and when you come to the first roundabout take the first immediate right, an follow that road down. You will find you will most likely the only one down there. Is It Worth Staying With Family Whilst Travelling The World?